is today! Initiated by UNESCO in 1999, the aim is a simple one – to honour and promote poets and poetry around the world, and to recognise poetry as an international language with the ability to unite. And a sky like a pig’s backside, an utter lack of attention. And find no face but my own, and you think that’s funny. 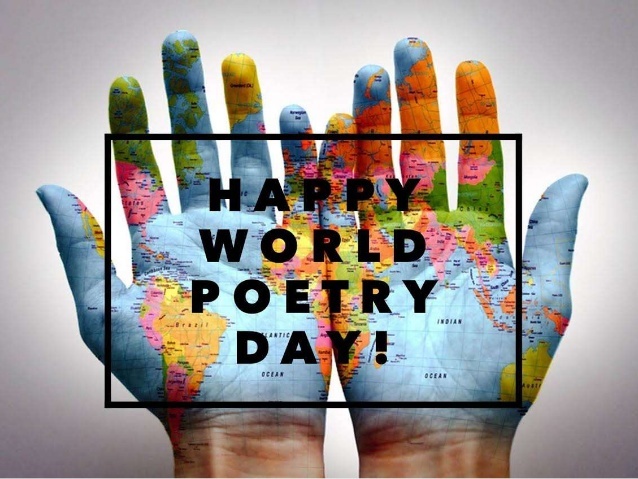 So I urge you to write, read, speak and share to help celebrate all things poetry, not only on this day, but every day.